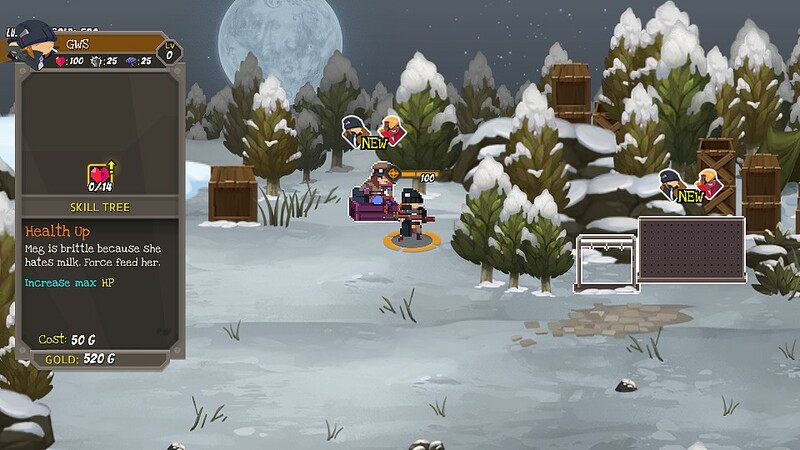 Rogue Legacy developers’ Cellar Door Games has gone in a new direction with Full Metal Furies. Going from a rogue-like to a persistent beat-em-up, Full Metal Furies wants to give us both a great single and multiplayer game, but no matter how you slice, shoot, or blow it up, this is a game meant for multiplayer. The story of the game follows the Furies: Four powerful women who are the only ones who can stop monsters called Titans from waging war around the planet. The game is played in beat-em-up style with each fury having unique weapons and various abilities. The levels themselves are built around fighting your way through multiple groups of enemies, dodging environmental hazards, and finding hidden items. Each Fury is designed around a specific playstyle, and you can have up to four players at a time going at it. Completing missions earn you gold that can be used to upgrade their skills or buy new gear for future missions. Besides the general play, Full Metal Furies features an extensive amount of side content that isn’t about bashing heads in. 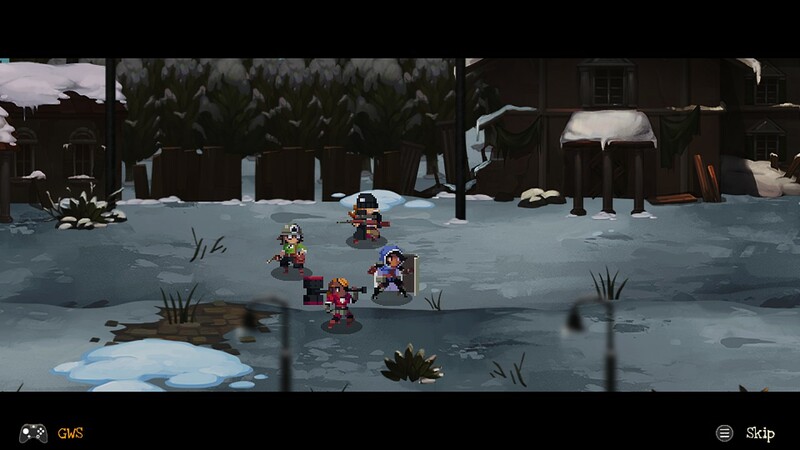 It may not look it at face value, but there is more than just beat-em-up gameplay to Full Metal Furies. The different gear that you can equip to the characters changes their abilities during play. Due to the cost of skill upgrades getting progressively more expensive, you will have to plan out how you want to build your favorite character. But the real depth comes in the game’s puzzles and hidden content. Throughout each world, there are hidden messages and paths that will require the player to figure out their meaning. These secrets lead to new areas and additional challenges. There are also hidden paths within the levels that can take you to new sections to find new gear. A lot of the advanced content does not make itself known until the post game; however, your chance of getting there will be dependent on your friends. 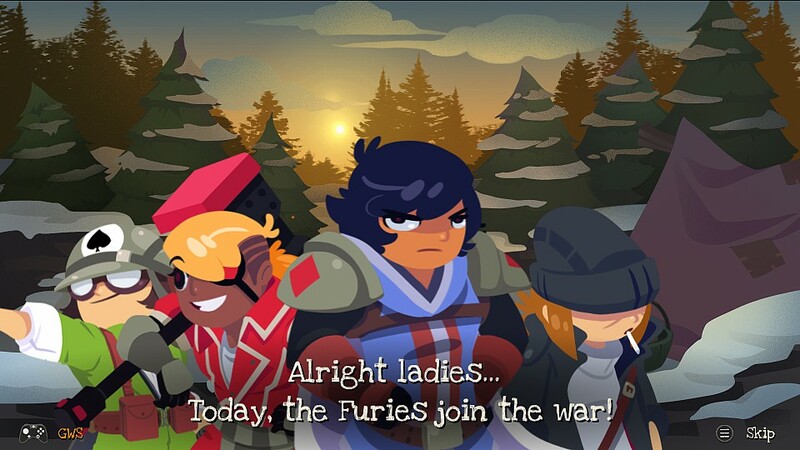 Full Metal Furies has the foundation to be a great game, but it is a great game with a huge caveat: You must have friends to play it with. The game was designed and balanced around at least two people playing it at the same time, and that’s not good in this case. Playing the game singleplayer is an exercise in frustration. One of the co-op mechanics in the game is when enemies show up with colored shields tailored to a specific Fury. The only way for the group to hurt that enemy is for the specified Fury to attack them and knock the shield off. That’s fine when you have multiple players, but alone, it creates a big problem. The developers tried to compensate by allowing you to switch between two characters at will, but it’s just a band-aid fix. When you’re being mobbed from all sides, you can’t really switch between characters for specific targeting. Not only that, but the sniper is practically unplayable solo, as she needs someone to draw fire to make the most use of her abilities. You may be thinking that the solution would be to join someone else’s game, but here’s the kicker: There are no quick join or lobby systems in the game at the moment. The only way to do co-op is through direct connection with your friends on Steam. Full Metal Furies fell into the same trap that Forced did upon release. If you have both single and multiplayer modes for your game, then the game must be balanced around single first; not the other way around. This can be a great game, but it’s locked by the constraint that you must have friends to make full use of it. There have been talks about implementing a lobby system, but it’s not in the game as of the time of this posting. I really wanted to like Full Metal Furies just like Forced, but this was a game that needed a multiplayer architecture from the get-go, and without it, really killed its chance of becoming popular.